Home3 Bedroom Terraced House, Villiers Street, Walsall, WS1. With Yields Of 6.25%. 3 Bedroom Terraced House, Villiers Street, Walsall, WS1. With Yields Of 6.25%. A 3 bedroom terraced house on Villiers street, Walsall, WS1. The property is being marketed by Homepoint (01922 321 043). Unfortunately, the listing lacks photos of the kitchen, bathroom, one of the bedrooms and the rear garden. Of what I can, see the decor needs changing desperately, but I have no idea what state the kitchen or bathroom are in. But as I always say, “That’s what viewings are for”. Marketed at offers of £95000. Car parking seems to be on-road. There are two double sized bedrooms with one single. There is double glazing and gas central heating throughout. Located in the Palfrey area of Walsall within easy reach of the major transport networks making quick commuting to Walsall an Wednesbury town centres. There are a large variety of schools all within a mile plus healthcare and shopping amenities. The appraised rental value is at £495.00 for a property of this type in this area and takes into consideration that the necessary upgrades will be carried out. If the property sells at the current asking price, this would mean a yield of 6.25%. Click here for details http://www.rightmove.co.uk/property-for-sale/property-40892187.html or call them to arrange a viewing. If you need any assistance with any aspect of this Buy-To-Let investment or indeed any other, please do not hesitate to contact me, I would be happy to help you. 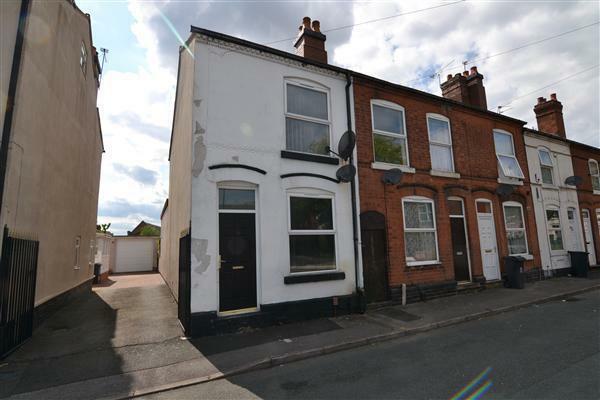 ← “Great Spec” 2 Bedroom Terraced House, Norfolk New Road, Walsall, WS2. With Yields Of 6.60%.